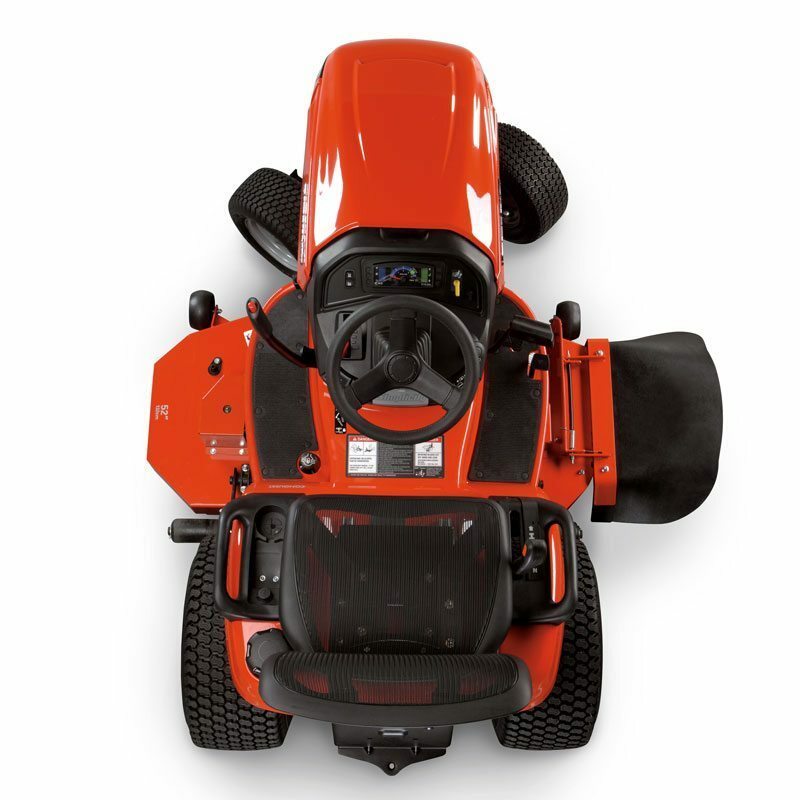 The Tuff-Torq® high speed transmission with differential lock offers a hydrostatic drive for an automotive-like feel and allows you to operate the machine at higher speeds. 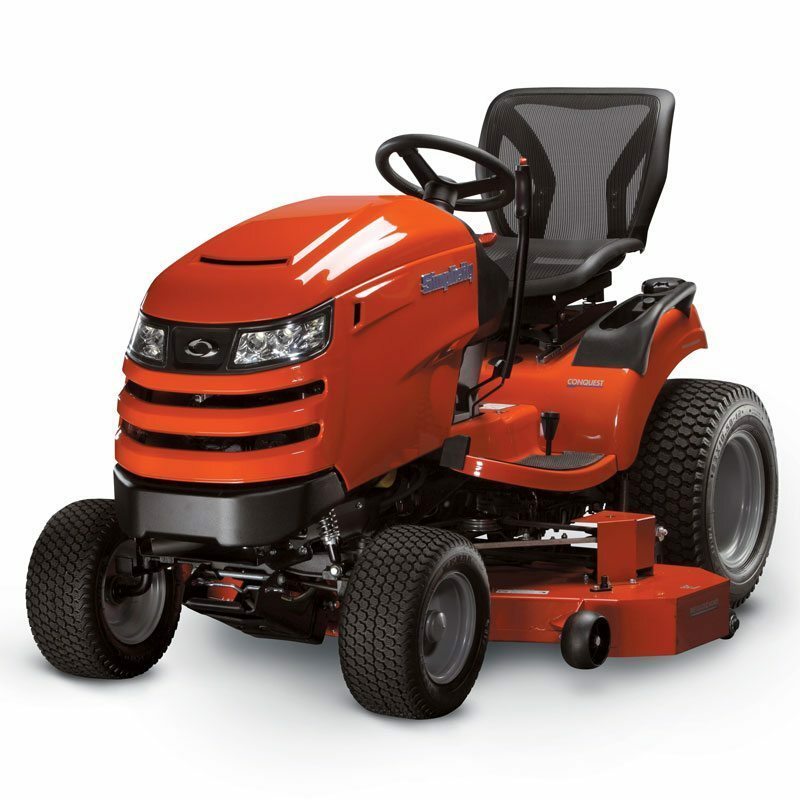 Turns and obstacles are no match for the Conquest™ Yard Tractor. 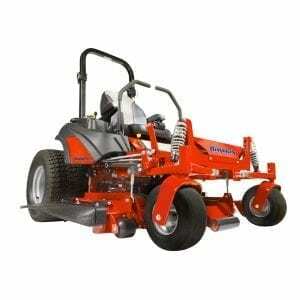 Steering during lawn maintenance is effortless with full power steering. 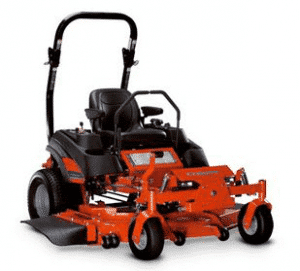 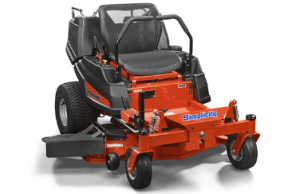 The rugged 52″ fabricated mower deck is made from 10-gauge steel with reinforced top, side skirts, corners and a steel front edge to ensure durability and a quality cut for years to come. 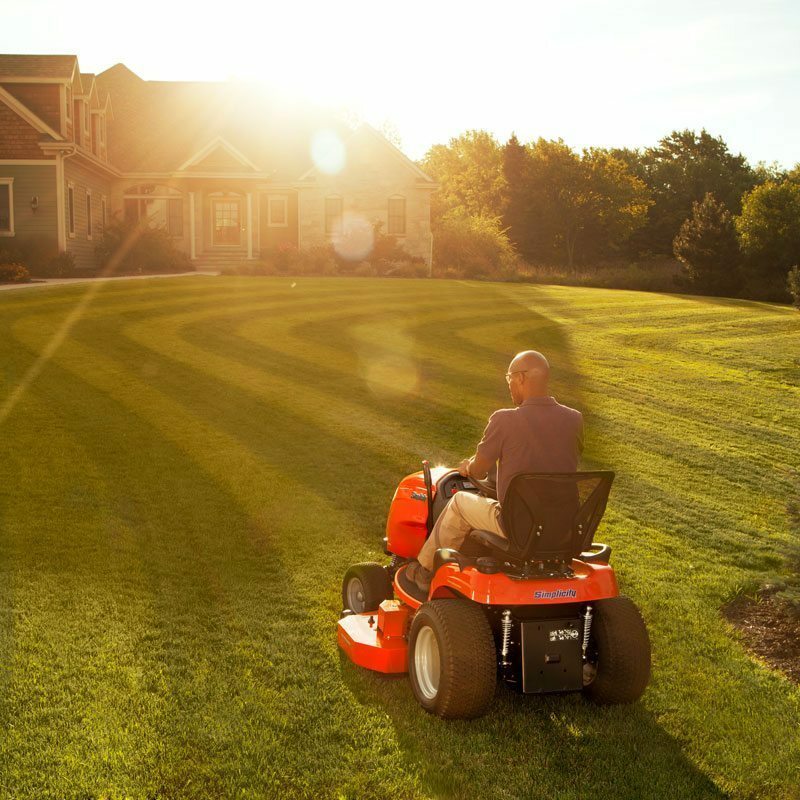 The Briggs & Stratton® Commercial Series V-Twin Engine features Electronic Fuel Management (EFM) for automotive style starting. 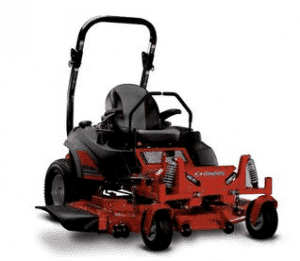 Cyclonic technology forces debris away from the air cleaner and ejects it through a one-way valve, resulting in a tough engine that’s ready for anything. 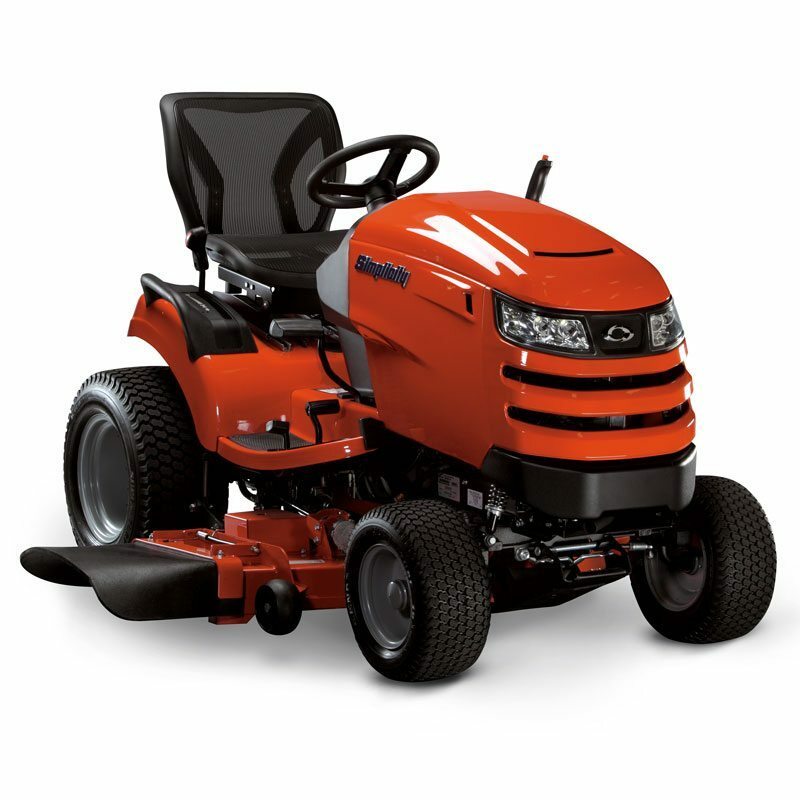 With Automatic Controlled Traction™, drive power is continuously supplied to both rear tractor tires maintaining superior traction. The Conquest™ features an intuitive dash system which includes push button starting and a deluxe instrument panel complete with fuel gauge, tachometer with “best cut” indication and maintenance reminders to provide the operator with a premium experience.